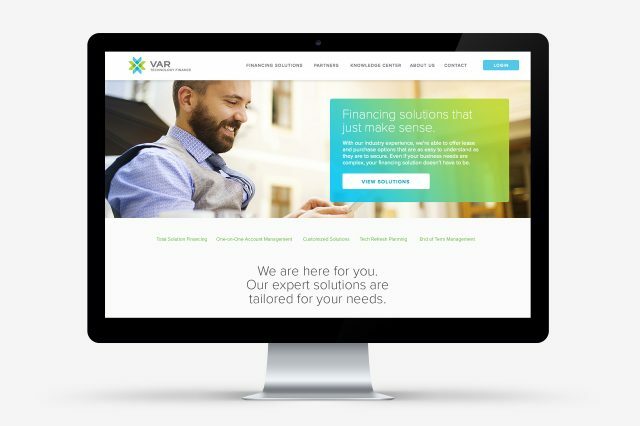 Equipped with a new brand platform, VAR Technology Finance was ready for a new brand identity that would position them to compete against both larger captive and smaller boutique firms in the industry. 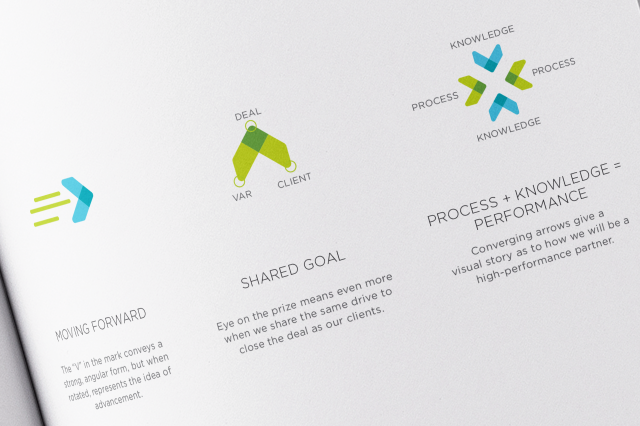 We created a logo that quickly communicates what the technology leasing and financing company does and captures the energy and fast-moving nature of the industry. 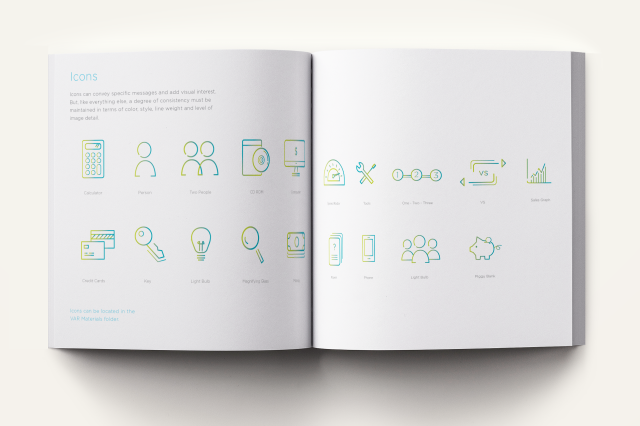 The four vibrantly colored arrows, while showing direction, also represent partners working together toward the best solutions, a concept that resonates with busy decision-makers responsible for acquiring technology solutions. 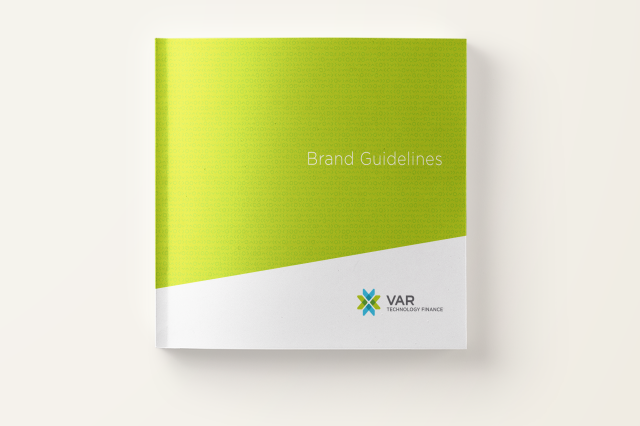 The key to managing perceptions of your company: establishing brand guidelines in order to portray a consistent image—and that’s just what our team did for VAR Technology Finance. 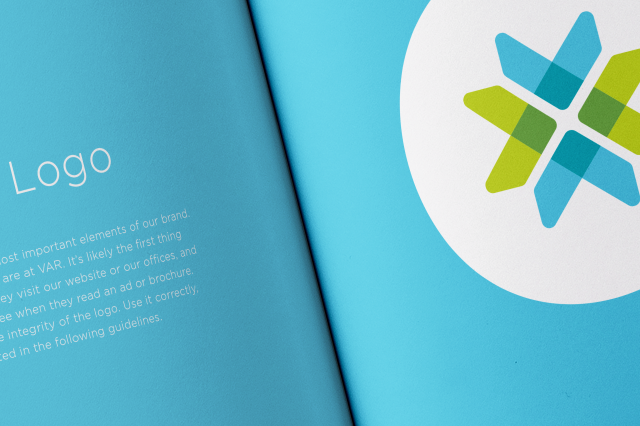 After we completed work on the company’s rebrand—everything from a new logo and website to business cards and a color palette—VAR needed a way to communicate the new brand guidelines to internal employees and external partners. 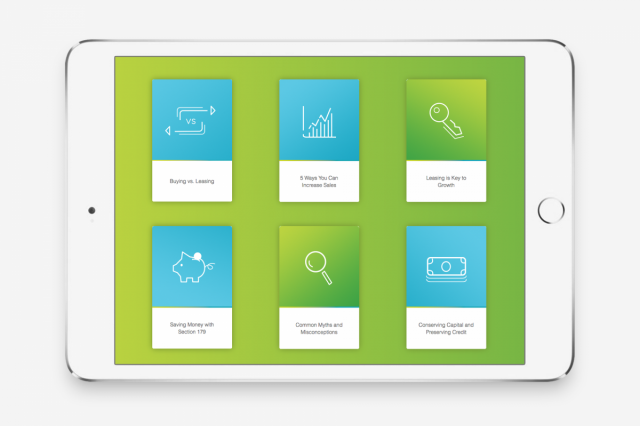 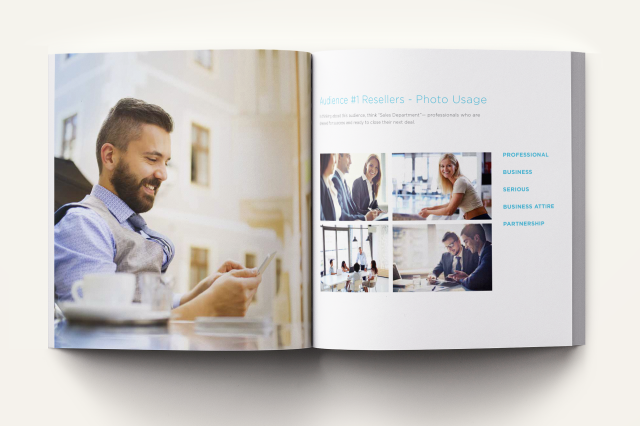 By creating a booklet with clear standards regarding how the brand should be portrayed, we made it easy to find all brand questions answered in one location. 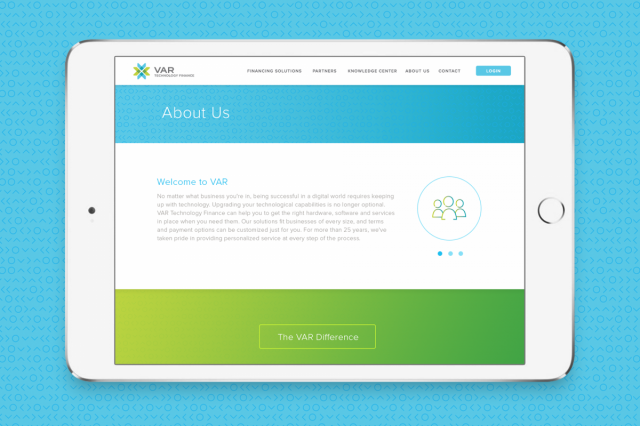 Most of VAR’s website traffic comes from prospects looking to confirm the company’s legitimacy in the field of financing. 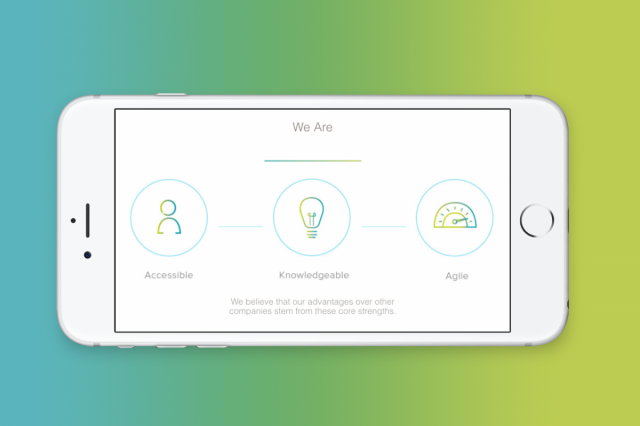 We redesigned the company’s website to establish its position as a credible, trustworthy resource and thought leader in the arena of technology leasing and financing, while also introducing its new brand to its prospective customers. 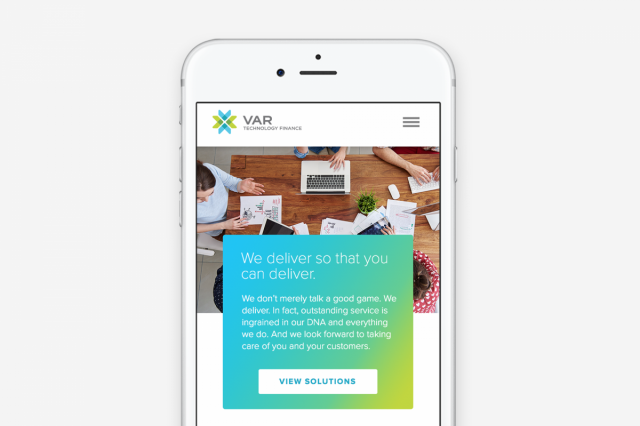 The feel of the site is vibrant, with an accessible, two-pronged user experience that supports both of VAR’s target audiences: technology end users/decision-makers and resellers.